The LAN Party Association of New England is a Boston area group of guys and gals who play games together, run servers, and organize LAN parties. Our goal is help host, promote, and provide resources and equipment to other LAN parties in New England. LPANE was formed, back in 2004, by a group of 53 administrators from 14 New England LAN Parties whose goal was to unite in order to better their events and improve your LAN gaming experiences. LPANE supported great LAN parties such as LanChelms, AdrenaLANrush, the BadLANs, and many others. In 2005 LPANE members worked together to throw the first Nor'Easter LAN party with support for up to 500 people. The last Nor'Easter was in 2010 and after that LPANE went inactive. We are a group of friends who grew up going to LPANE LANs together. Our goal is to revive the LPANE name and it's mission. Eventually we would like to bring back the Nor'Easter. We are starting off with small LANs right now. If you are interested in hosting a LAN or lending a hand please contact us! Join our Discord for games or to talk about the next LAN party. Why wait until the next LAN? Join us on Discord. Follow us on social media to stay in the loop about future New England LAN parties. 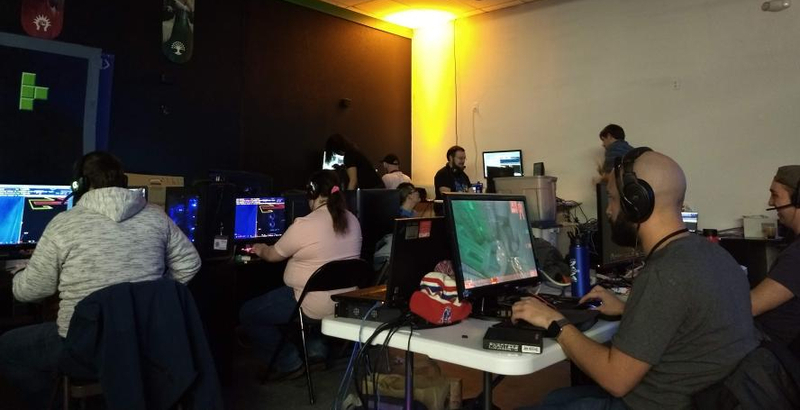 LPANE organizes LAN parties across New England.